Mireya Arango is headed to Stanford University after a stellar high school career during which she surmounted considerable odds. 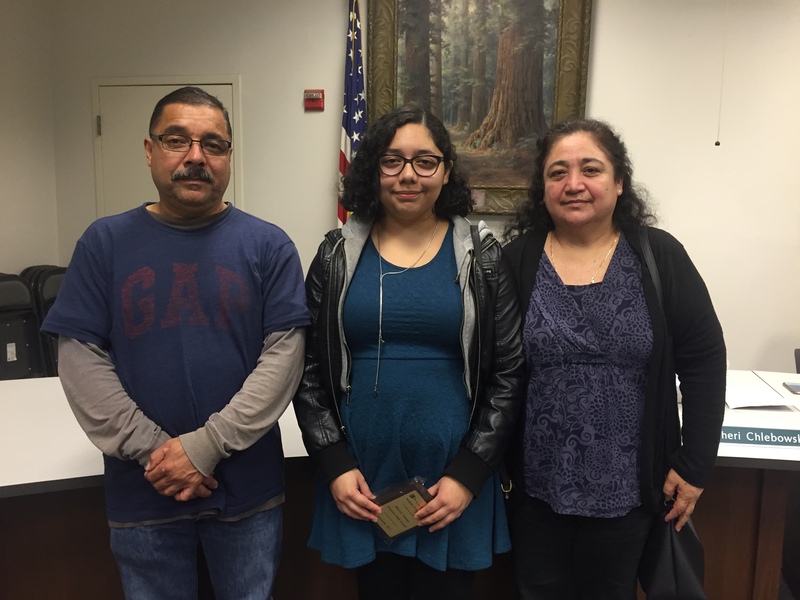 Arango, a Petaluma High School student who took 13 honors and AP classes (and numerous Sonoma State University classes), was honored by the Petaluma City Schools Board of Education. She appeared with her parents — Antonio and Isaura Arango — and the memory of her brother Cristian, who died in October at the age of 21. “Neither of her parents have beyond an elementary school education. Though her parents have been amazing supports for her, she has had to navigate this path mainly on her own with the assistance of counselors and other staff,” said David Stirrat, Petaluma High principal. •	Kaiser Summer Youth Employment program (she plans to enter the medical field). Congratulations to both Mireya and her parents .